Destiny 2's scannable objects somewhat replace the Grimoire Cards from the original game. You'll find items and places throughout each region and upon interacting with them you'll get a little bit of info that lets you know more about the world around you. Finding each of these scannables is going to be tough, as not only are there a ton of them, but sometimes they really blend into the background. • Check out our Destiny 2 guide for Guardian tips and tricks plus a complete walkthrough of the campaign missions. Below we'll show you how to find scannable locations in Destiny 2. If you're still stumped, our guide collects every one of them, broken up by region, to help guide you towards the objects that are eluding you. 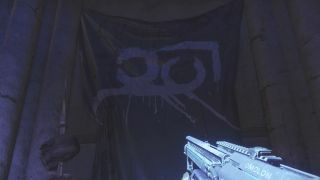 A lot of scannable objects in Destiny 2 can be found easily by keeping your eyes open. If something seems out of place, more than likely it is. Head over to any objects you find on your travels that stand out to you and see if the prompt to scan them comes up. For the scannable areas that blend into their surroundings well, you'll need to try a different approach. If you use your Ghost to scan an area, scannable objects will be highlighted. The annoying part of this is that the Ghost scan doesn't have a huge range, but it's better than nothing.